It's The Collected Pits & Perils! A hardcover collection of the original rulebook and both official supplements - fully edited and ready to play. 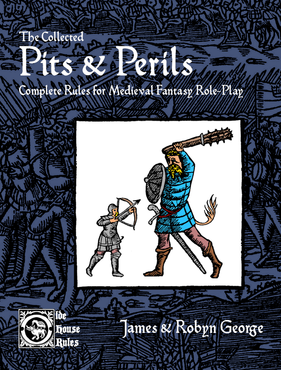 Includes the 18-page HOUSE RULES FROM YERTH addition with advice and materials from the authors' own fantasy campaign!